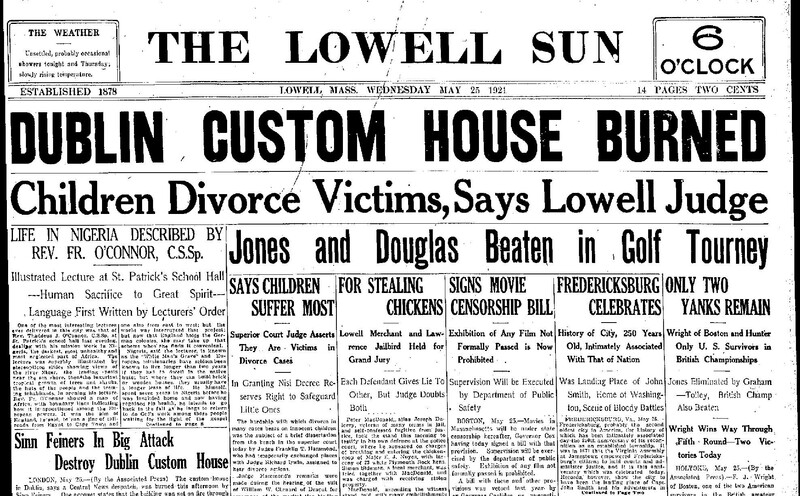 In 1921 the town of Ludington in Michigan had a population of just over 8,000 – a figure that’s hardly changed today. 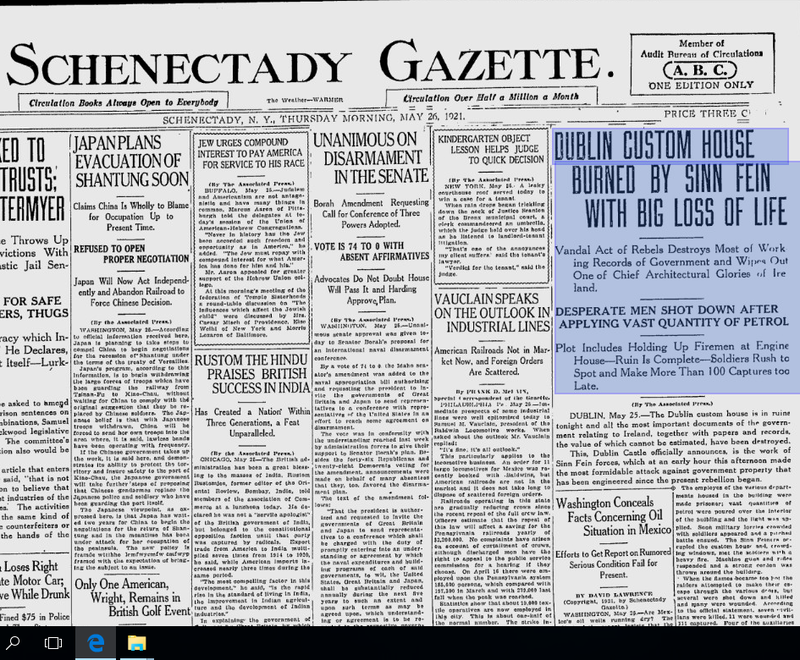 Following the burning of the Custom House, the local paper – The Ludington Daily News – gave extensive page 1 coverage to the event. 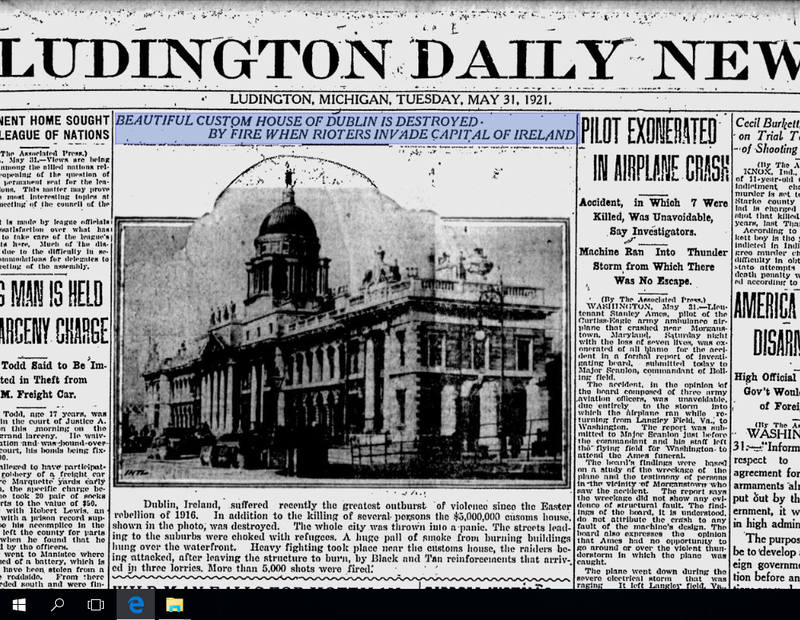 Ludington was not at all unusual in how it reported on the raid. 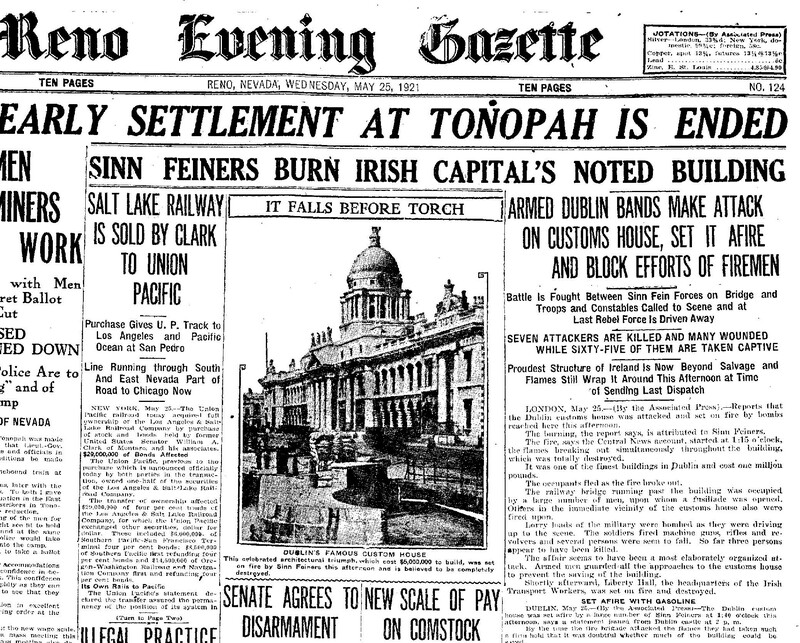 Similar coverage was repeated across hundreds of towns & cities in America. 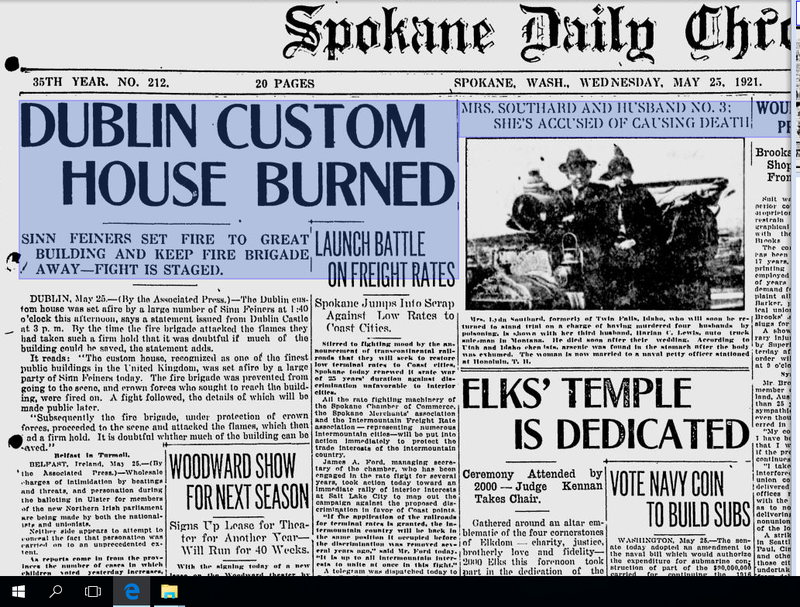 Newspapers with such wonderfully evocative titles as The Coshocton Tribune, The Spokane Daily Chronicle, The Fort Wayne Journal and The Schenectady Gazette all had prominent front page coverage of the event. Not unexpectedly, the raid also featured prominently in the larger circulation papers. 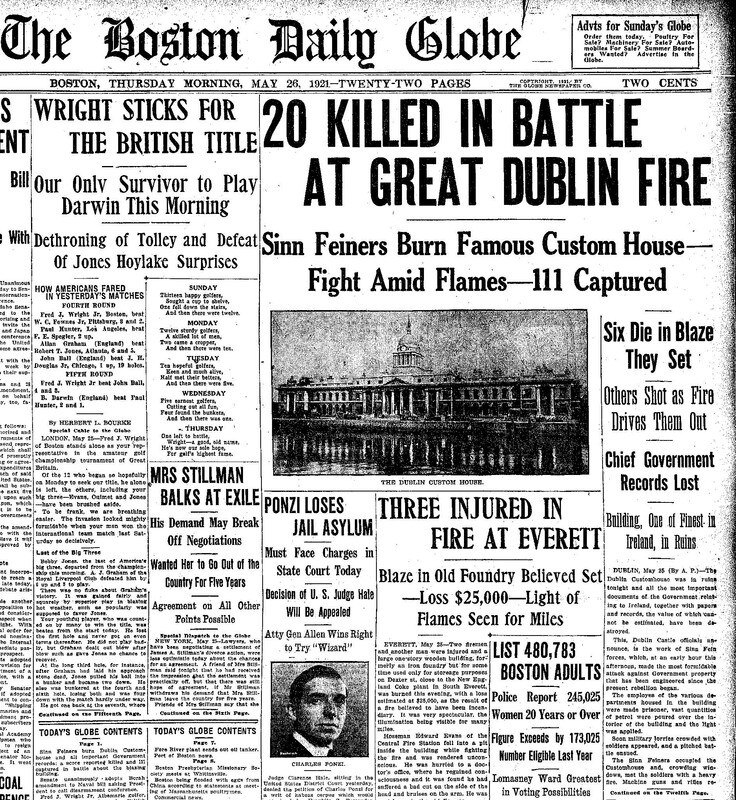 As can be seen above, the initial reports – perhaps understandably – often contained incorrect details, especially relating to the number of casualties. 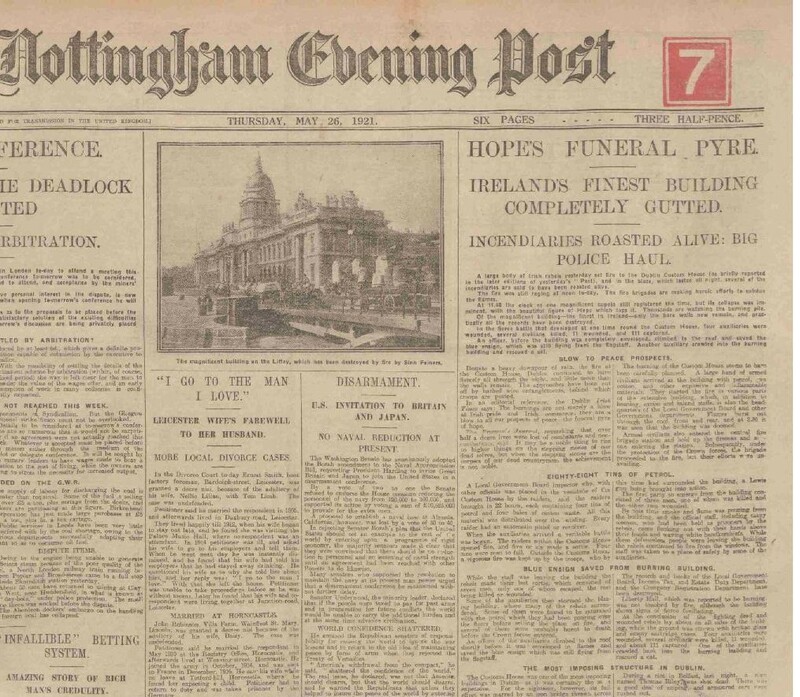 Even then apparently, some papers couldn’t resist the more sensationalist & lurid headlines with the Nottingham Evening Post below proclaiming in a sub-banner “Incendiaries Roasted Alive” !! 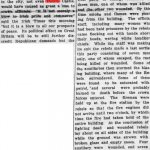 The raid was covered in many of the European national newspapers of the day such as Le Figaro & L’echo de Paris. It was in the English speaking & Dominion countries though that saw the raid covered extensively at both national & provincial level. 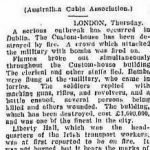 In Australia, Canada & New Zealand a great many of the local newspapers covered the event. 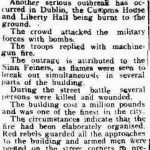 While the merits of the Custom House Attack have been the subject of much debate & argument down the years, there can be little doubt that De Valera’s goal of bringing the attention of the world to the situation in Ireland was undoubtedly achieved.